When you pitch your idea or concept the number one outcome, besides getting funding, is to have your audience understand your pitch, get your key points, and to get them as excited as you are about your company or idea. Although it may seem counter intuitive at first glance, work on pausing often in your investor pitch. Do not rush through your pitch for fear running out of time or not saying everything you need to say. Without pausing, your pitch will be just one long mess of information. The audience will have to work to understand the different points you are making instead of listening and absorbing your pitch. In addition, pausing will ultimately give you more confidence and a first impression boost in the eyes of your investors. Pausing and creating space while you are pitching is so important for successful communication. Communication doesn’t happen when someone talks. It also doesn’t happen when someone hears something. In isolation talking and hearing are just that, not communication. Communication is successful when your speaking is heard, processed, and understood. Only by checking in with your listener would you really know if you were effective in communicating your pitch the way you wanted it to be interpreted. You’re flying blind in an investor pitch. When you pause, it gives your audience a chance to actually hear you and think about what you are saying. This space you create for processing helps your audience and investors absorb the information you’ve given. They have more time to consider it, to attach to it, and to get engaged by it. Once this happens they are more receptive and will be more able to continue listening to the rest of your pitch. Your investor audience (or any audience for that matter) has a very short attention span. Complex information and rapid topic introduction aren’t easily understood or absorbed when we don’t pause. When we pause we give our investors and customers the chance to understand each point. At first pausing is so uncomfortable. All that dead space can feel like an eternity when you are in front of a crowd. It allows that negative self talk and self consciousness to creep in. So it’s entirely natural to fear the space of a pause. With practice and understanding, we can overcome and master this key component to great communication. Creating a frame for your audience to see what’s coming allows expectations to be aligned and takes much of the guess work out of what you are talking about. Much like a table of contents for a book, the frame outlines the pitch and the time you are about to spend together in a way that get’s everyone on the same page from the start. Content delivered in an unframed way has the tendency to run together and makes you appear rushed. The lack of frame actually reduces the chances that you are going to pause or that your audience is going to understand what you are getting at. Using a frame will help your audience start to process and understand your key points sooner and more complete. If you just talk through your points without setting your audience up with a frame to think within, you are risking losing the audience’s attention or worse, confusion. 2. Content – The Overall Substance of your Pitch and Key Points (the “body” of the pitch). 3. Recap & Ask – Review of Key Points and Transitioning to the Ask (You’ve told your story now ask for what you need). Pausing is also super helpful for getting rid of filler words. In our Pitch Hack Video on filler words, we discuss pausing instead of using uhm, uh, and other filler words.  If you just pause instead of saying that filler word, it’s going to sound better to your audience in addition to creating that space for you to regroup and process your pitch. Filler words are really hard to eliminate from pitching and presentations, but working to pause more will be your best tool for eliminating them. With practice, pausing will give you space to feel and be confident in your pitch. When you rush, you’re fueling the adrenaline already pumping through your system. If you just pause you can better own the space. You can have more confidence and appear more confident to your investors in your investor pitch.